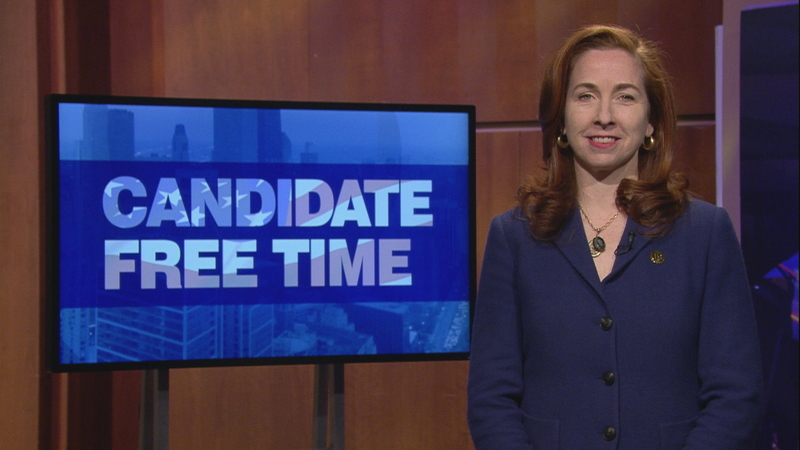 Video: Bridget Gainer tells voters about her platform. Learn more about Candidate Free Time. As a mother and a lifelong Chicagoan, I want to work to ensure environment that more families are moving here and want to raise their kids here. By making sure government is accountable and works for residents, we can help create a bright future for the County and Chicago. As I speak to constituents in meetings and going door to door, residents are concerned about skyrocketing taxes at all levels of government. Which is why I was against the regressive soda tax from the beginning and I voted to repeal it. I have also created the Cook County Land Bank which has rehabbed over 200 homes to date and gotten $20 million back onto tax rolls without costing tax payers a dime. Hi, I’m Bridget Gainer, Democrat running for re-election to the Cook County Board 10th District. I am a life-long Chicagoan and I started out as a community organizer at Senn High School. During my time as a commissioner, I have championed policies that benefit working families across Cook County. I sponsored and passed paid sick leave so parents can take care of their children without losing pay or their jobs. I led the fight to increase the minimum wage and opposed the soda tax. As your Commissioner, I created the Cook County Land Bank, to help restore neighborhoods hit hard by the financial crisis. But we have done this is a new way we built an army of small developers from the neighborhood and as of today have rehabilitated over 200 homes, most of which are for homeownership. And we have done this without a dollar of taxpayer funds. I have also devoted special interest to the women and children in the County’s criminal justice system. I eliminated the practice of separating new mothers awaiting trial from their newborns and led the fight to ban shackling pregnant detainees during delivery. My work fighting for working families, for women and children, and for neighborhood development has only just begun. Please re-elect me as your Cook County Commissioner on March 20th.